First things first. 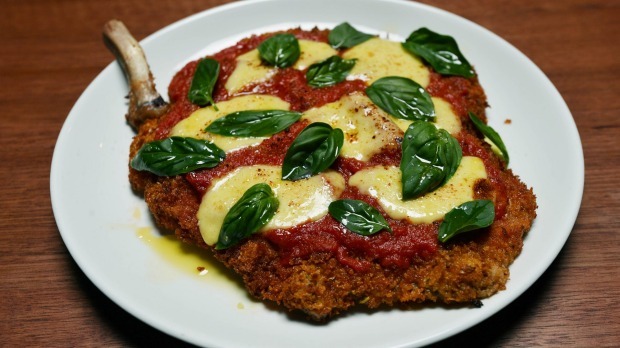 The bone-in veal parmigiana is wildly expensive. To be fair, it comes from Meatsmith, and is a 330-gram T-bone from a prized, only seasonally available beast. 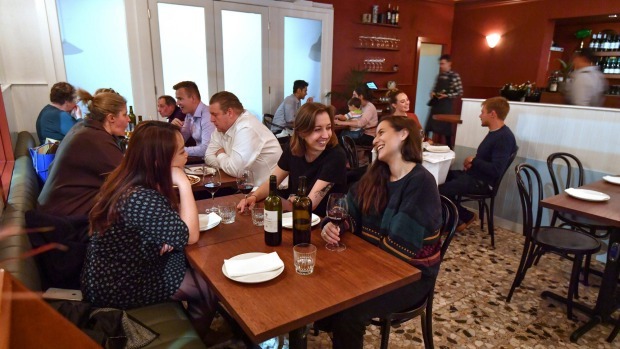 But in situ, at Capitano, pitched as a low-key party pizza joint, $65 for what looks to the pub-trained eye like a slightly bigger version of a Tuesday staple (no sides!) seems like a hilarious joke. It isn't. (It's tasty too if you've got the dough: juicy veal, bone in, well dressed in crumbs, napoli sauce and big wodges of melty aged mozzarella.) It also neatly sums up Capitano, the Bar Liberty team's new baby. Until recently this was the Beaufort Bar, a swashbuckling dive deeply loved by bartenders and barbecue enthusiasts for its ribs, shots and that time Queens of the Stone Age played a sneaky gig. Admirably, every stuffed fish and sniff of black paint has been scraped from the windows, walls and ceilings. It's pretty spiffy: maroon walls, speckled cream terrazzo floors, glossy mirrors and neat wooden banquettes. A couple of tables are linen-clad. Cutlery comes in neat leather pouches. The long bar, once deeply scored with declarations of love and instructional anatomy, is virginal, overhung with frosted deco globes. The vibe now is good times Yank-Italian diner all about cheese pizzas that can be embellished at will, frosty tinnies, cocktails, pasta and meatballs. It's a raucous night out as imagined by some gigantic food and drink nerds. Owners Banjo Harris Plane and Michael Bascetta are both ex-Attica. Chef Casey Wall and Manu Potoi have made their Melbourne name with double patty smash burgers and fried chicken at Rockwell and Sons, but their pedigree comes from the top of the food chain. Their low key is still pretty highbrow. Hence, a $65 parmy billed with not the bat of an eye, a made-to-order tiramisu spiked with hyper-local curacao and the house red, a juicy barbera, made specifically for the crew. If you like your antipasti to feature the almost iodine-y funk of Ballarat gabagool (that's capicola, in New Jersey speak), and broccolini singed in pizza oven hell and served with lemony stracciatella; to have your negroni washed with saffron by an ex-Dinner by Heston bartender (I don't, but the grapefruit-infused americano and G and T featuring amontillado turned herbal with chamomile are great updates), your time, and place, has come. And the pizza is excellent, falling somewhere between Napoli and new-style New York. 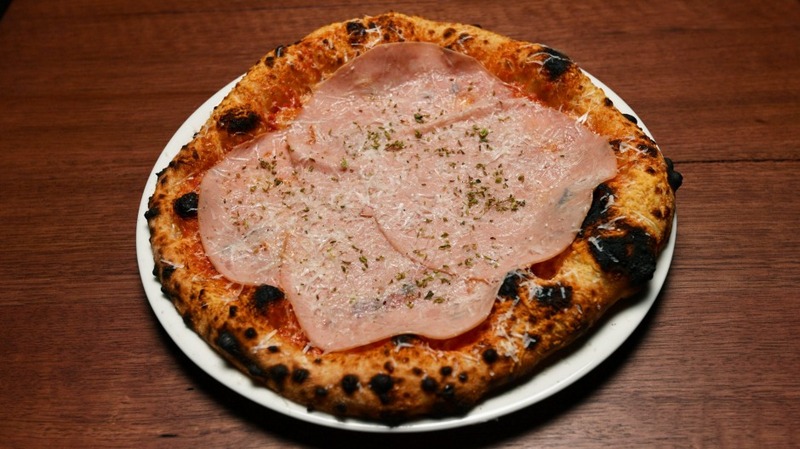 The dough is fermented to Napoli pizza police standard, is thin at heart rising to a brilliantly puffed and blistered edge. It's Italy standard size rather than New York gargantuan too, and while the oven is stone-lined electric, it gets results. It's the toppings that take a walk in the contempo wilds. The all-cheese pie is dressed in stretchy aged and creamy fresh mozzarella and provolone, finished with pecorino. Take it straight. It's enough. 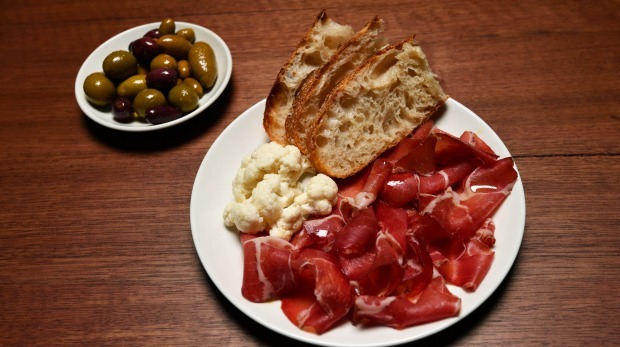 Or build with fennel salami, anchovies, mortadella, silverbeet or pickled chillies. No regrets adding pale waves of mortadella, all mellow and subtly spiced. The ability to work with your vego pals is nice too, getting extras on the side for the cheese or classic tomato pie. The version covered in wilting broad bean leaves, garlic cream and double cheese is one of the hottest veg options in town. Pastas have similar straightforward appeal. 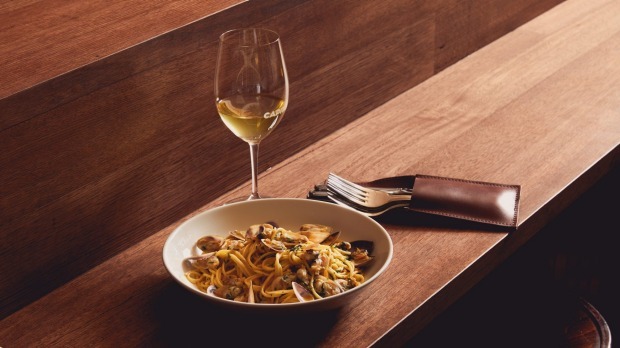 Clams tangle with spaghetti in a garlicky liquor of the reduced broth, butter and dashi and absolutely nothing else. Spiralled vesuvio pasta (some with a little surprise crunch) is drenched in nothing but bright, rich, ballsy and ridiculously addictive tomato vodka sauce, a staple of check cloth joints. Casarecce pimped with pancetta, shredded cavalo nero and pecorino is as elaborate as things get. Capitano plays right to Wall's power card of doing simple with skill. Giant juicy meatballs just sigh into submission, fat streaking the sharp tomato. But then he backs it with an elegant beet dish dressed in sherry with a macadamia cream and brown butter, or a salad of crisp fennel and tart apple with salted ricotta. There's not a lot I wouldn't double dip my fork into here. 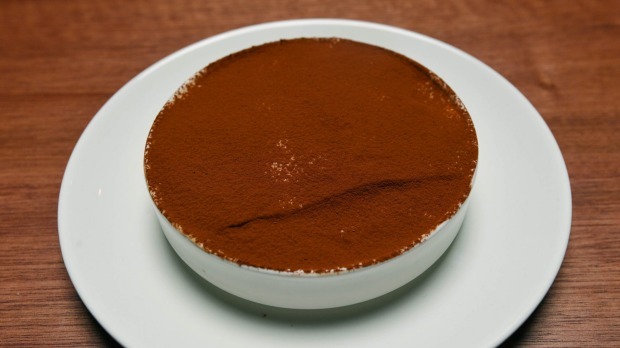 Especially the richly powdered tiramisu pinging of that orange liqueur (can't fit it in? The clarified milk cocktail soaked in ladyfingers exactly mimics the dessert). A quick caveat snacktor. The wines aren't as esoteric as Bar Liberty but they still lean that way. If you are outside the 25-39 age range you fit neither Tinder's nor Capitano's main demographic. It's kid-friendly only if you don't mind feeding them $18 cheese pizza. For the rest of us, Capitano is the new school pizza place we didn't know we were missing. A bit of finery. A lot of fun. Pro-tip The back room is opening for big parties soon. Go-to dish Cheese pizza ($18 plus toppings); stracciatella and broccoli ($16).